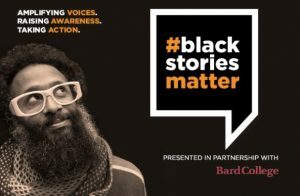 We’re busy gearing up for Black Stories Matter @ Bard–inspiring true stories and monologues about Black people surviving and thriving in the Hudson Valley–on April 4th at Bard College! The storytelling performances will be followed by a facilitated panel discussion about race, identity and inclusion. We’re excited to announce today the amazing group of local activists, artists and scholars who will join us on the panel! Black Stories Matter @ Bard Panelists! The panel discussion will be facilitated by Chanel Ward, Associate Director of Diversity Education and Training at New York University. She is also a diversity and inclusion consultant and has consulted for Barnard College, Dutchess Community College, Pace University and SUNY New Paltz among others. Dariel Vasquez is a Bard College class of ’17 alum & Founder of Brothers at Bard, a local academic enrichment mentorship program for young men of color from underserved communities. Callie Mackenzie Jayne is the former Lead Organizer for Citizen Action of New York’s Hudson Valley Chapter and host of the newly launched Rise Up radio program on Radio Kingston. Callie is a community organizer, a mother, a musician and artist. Tameka Ramsey describes herself as a survivor of many of the dynamics that she seeks to change in America. 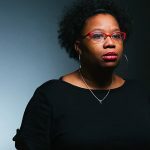 After difficult early circumstances, she attended New York University and is now the Program Director of Black Stories Matter. Eva Tenuto is the co-founder and executive director of TMI Project. In the last eight years Eva has brought TMI Project from her living room to a host of performance spaces, high schools, colleges, detention centers, mental health facilities and the United Nations. 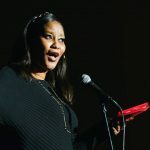 TMI Project’s mission with Black Stories Matter is to elevate the underrepresented stories of the Black experience in America – the full spectrum – the triumphs, humor, beauty and resilience. We’d love to include YOUR story. Those interested can submit videos of up to three minutes in length or true stories of up to 600 words (along with a photo). After they’re collected and curated, select stories will appear on TMI Project’s website and social media channels.